The Ark Second-Hand Book Sale has a large variety of fiction and non-fiction at bargain prices. The Ark is a charitable Animal Welfare Organisation. 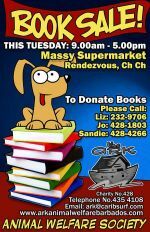 The sale takes place every first Tuesday of the month outside Massy Stores Rendezvous. 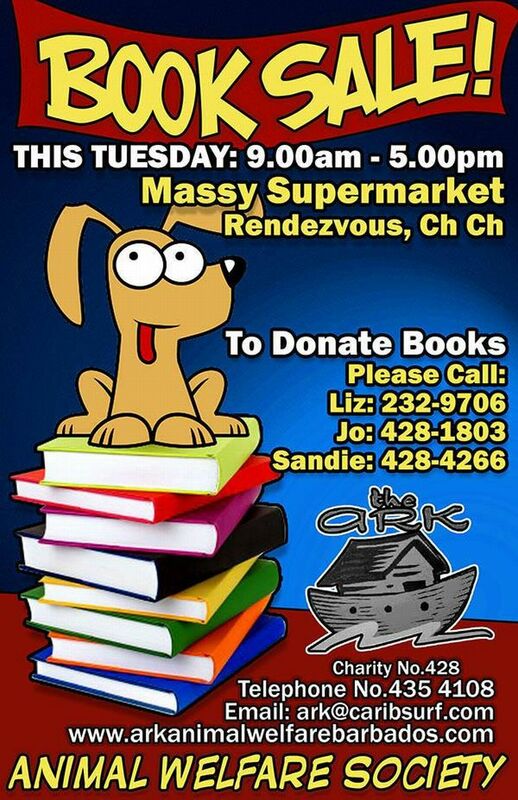 Donations of books are welcome!